‘Hell’oween 2018! Spookers, your hell on earth! 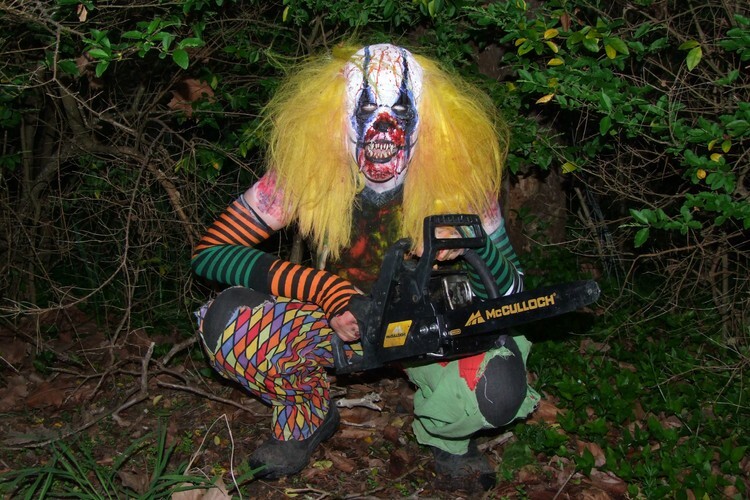 Come and experience Halloween at the only place in New Zealand that has been designed to be a professional, year-round, Halloween themed Haunted Attraction. This Wednesday the 31st of October will bring death, despair, scares and nightmares to you and yours that will haunt you forever! All R16 attractions consisting of ‘The Woods’, ‘The Haunted House’, ‘Disturbia’ and the swamp like attraction ‘The Fog’ will be open and awaiting your presence!! 1 torch is needed for every group of 5-6 to do The Woods (outdoors). BYO or purchase here for $12ea, phone torches are not accepted. Open from 8pm-last entry 10pm. Pre-pay online for cheaper tickets and to skip the line to get your tickets or come in between 8pm-10pm and purchase thickets here. All attractions are strictly R.16, everyone must have photo ID. Spookers cafe is open from 6.30pm and bar open from 7.30pm (fully licensed).